An important part of the South Jersey Port Corporation’s mission is to foster economic development and to create jobs in the Delaware River region. For more than 80 years, the South Jersey Port Corporation has played an integral role in the economic development of New Jersey and the Delaware Valley regions. In the upcoming years, we anticipate playing an increasingly important part in the economic expansion of the region. As one of the largest employers in the area we look forward to producing extensive economic opportunities that will trickle throughout a range of related industries. A study conducted in 2010 shows the economic benefits that the SJPC provides both directly and indirectly to those in the southern New Jersey region. Approximately 24,605 residents of the Delaware River Valley region are linked to cargo and vessel activity at the SJPC marine terminals. Cargo movement through the public marine terminals generate 2,446 direct jobs. These jobs are classified as direct jobs and if SJPC marine terminals were to cease, these jobs would be discontinued over the short term. Another 1,132 people are employed by providing goods and services to those 2,446 individuals directly involved with port activity. 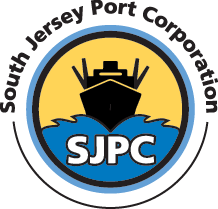 Companies directly dependent on maritime activity at the SJPC marine terminals made $13.5 million. These purchases supported 252 jobs in the local economy. An additional 20,775 jobs are secured with firms that ship and receive cargo via the SJPC marine terminals. The Economic Impact of the Southern New Jersey Port Industry 2010, prepared for the NJDOT by the Rutgers Edward J. Bloustein School of Planning and Public Policy.